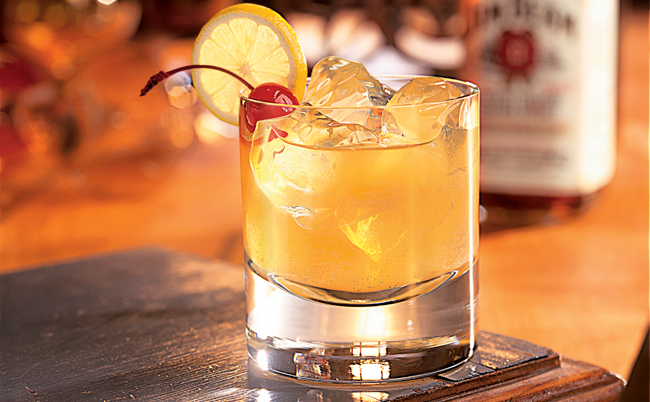 The whisky sour is another rather famous cocktail that is both simple yet effective. Utilising 50ml (2 measures) of Bourbon, this cocktail is a bit stronger than I’m used to, but it is a great tasting sugary cocktail. This cocktail is the basis for several similar cocktails including both the ‘Boston Sour’ and Ward 8. The idea is that the combination of the sugar with the lemon juice supplies a sour taste to the whisky and that (obviously) makes it a whisky sour. Whisky cocktails done right: The Whisky Sour. Shake all of the ingredients over ice and strain into a tumbler filled with ice. Garnish with a lemon slice and maraschino cherry. 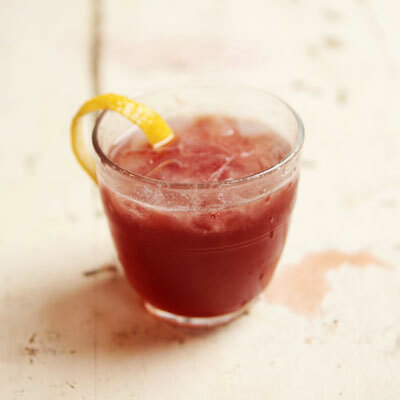 Top Tip: For a Boston sour, remove the vanilla and add 1 whole egg white to the shaker. This is a great cocktail, and whilst I don’t usually drink whisky (I can’t say I like the flavours very much) this is one of the very few whisky based cocktails I actually like drinking. Mix all of the ingredients over ice and then strain the mixture into an ice filled tumbler. Garnish with a lemon and orange slice. Fervent Shaker Top Tip: for a splash of instant flavour, wipe a mint sprig around the rim of the glass. If mint is not your thing you can squeeze an orange twist over the glass releasing the oils for an intense flavour hit. Hopefully this will whet your appetite for more to come.